Migrants may experience a higher burden of vaccine-preventable disease (VPD)-associated hospitalisations compared to the host population. A retrospective cohort study from 2006 to 2015 was conducted that linked de-identified data from government sources using Statistic NZ’s Integrated Data Infrastructure. VPD-related hospitalisations were compared between three cohorts of children from birth to 5 years old: foreign-born children who migrated to NZ, children born in NZ of recent migrant mothers, and a comparator group of children born in NZ without a recent migration background. VPD-related hospitalisation rates were higher among NZ-born non-migrant children compared to NZ-born migrant and foreign-born children for all of the diseases of interest. For instance, 5.21% of NZ-born non-migrant children were hospitalised at least once due to all-cause gastroenteritis compared to 4.47% of NZ-born migrant children and only 1.13% of foreign-born migrant children. The overall hospitalisation rate for NZ-born non-migrant children was 3495 hospitalisations per 100,000 person years. 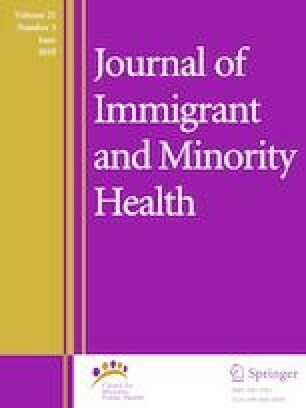 Among children with migrant backgrounds, higher hospitalisation rates were noted among those of Pacific ethnicity and those with refugee backgrounds. Those arriving on Pacific visa schemes were hospitalised at rates ranging from 2644/100,000 person years among foreign-born migrant children and 4839/100,000 person years among NZ-born migrant children. Foreign-born quota refugee children and NZ-born children of quota refugee mothers were hospitalised at a rate of 4000–5000/100,000 person years. It is important to disaggregate migrant data to improve our understanding of migrant health. Children need to be age-appropriately vaccinated, and other individual and environmental factors addressed, to reduce the risk of infectious diseases. The online version of this article ( https://doi.org/10.1007/s10903-019-00888-4) contains supplementary material, which is available to authorized users. This study was conducted in collaboration with Statistics New Zealand and within the confines of the Statistics Act 1975. We would like to thank members of The Monarch Collaboration (http://monarchcollaboration.org/) for their support of this study. This work was supported by the Ministry of Business, Innovation and Employment (MBIE) (Grant Number #:UOAX1512). MBIE was provided the opportunity to review a preliminary version of this manuscript for factual accuracy but the authors are solely responsible for final content and interpretation. The authors received no financial support or other form of compensation related to the development of the manuscript. Janine Paynter, Arier C. Lee, Donna G. Watson have helped conduct and Nikki M. Turner has been an investigator in research projects funded by GlaxoSmithKline. Nadia A. Charania reports no conflict of interest. International Organization for Migration (IOM). World Migration Report 2018. Geneva: International Organization for Migration. 2017. https://publications.iom.int/system/files/pdf/wmr_2018_en.pdf. Accessed 5 July 2018. United Nations, Department of Economic and Social Affairs, Population Division. International Migration Report 2017: highlights. New York: United Nations. 2017. http://www.un.org/en/development/desa/population/migration/publications/migrationreport/docs/MigrationReport2017_Highlights.pdf. Accessed 23 Jan 2018. United Nations High Commissioner for Refugees (UNHCR). Global trends: forced displacement in 2017. Geneva: United Nations High Commissioner for Refugees. 2018. http://www.unhcr.org/5b27be547.pdf. Accessed 21 Aug 2018. Immigration New Zealand. New Zealand Refugee Quota Programme. Wellington: Immigration New Zealand. 2018. https://www.immigration.govt.nz/about-us/what-we-do/our-strategies-and-projects/supporting-refugees-and-asylum-seekers/refugee-and-protection-unit/new-zealand-refugee-quota-programme. Accessed 25 March 2018. Merwood P. Labour market outcomes of recent migrants to New Zealand. Wellington: Ministry of Business, Innovation and Employment. 2013. https://www.mbie.govt.nz/publications-research/research/migrants—settlement/recent-migrants-nz.pdf. Accessed 25 Jan 2017. Statistics New Zealand. International Travel and Migration: October 2017. Wellington: Statistics New Zealand. 2017. http://archive.stats.govt.nz/browse_for_stats/population/Migration/IntTravelAndMigration_HOTPOct17.aspx. Accessed 25 March 2018. Statistics New Zealand. Ethnicity. Wellington: Statistics New Zealand. Not dated. http://archive.stats.govt.nz/methods/classifications-and-standards/classification-related-stats-standards/ethnicity.aspx. Accessed 25 March 2017. National Health Board. National Minimum Dataset (Hospital Events) data dictionary. Wellington: Ministry of Health. 2014. https://www.health.govt.nz/publication/national-minimum-dataset-hospital-events-data-dictionary. Accessed 25 March 2017. Ministry of Health. Eligibility for publicly funded health services. Wellington: Ministry of Health. 2011. https://www.health.govt.nz/new-zealand-health-system/eligibility-publicly-funded-health-services. Accessed 5 July 2018. New Zealand Government. Paying for healthcare services. Wellington: New Zealand Government. 2018. https://www.newzealandnow.govt.nz/living-in-nz/healthcare/paying-for-healthcare-services. Accessed 5 July 2018.